Crowther Associates were instructed in 2009 by clients Kerridge Properties and Town Park Leisure to design a further phase of Charnham Business Park in Hungerford, Berkshire. 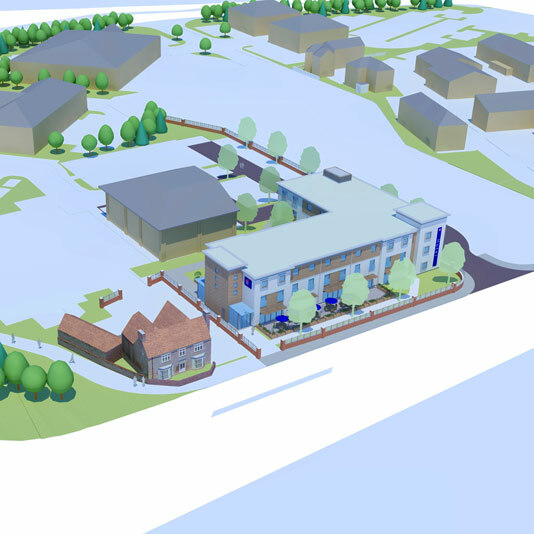 A number of office and warehouse buildings had previously been constructed on the site adjacent to the A4 on the edge of the town and the opportunity was identified to meet further hotel room demand. 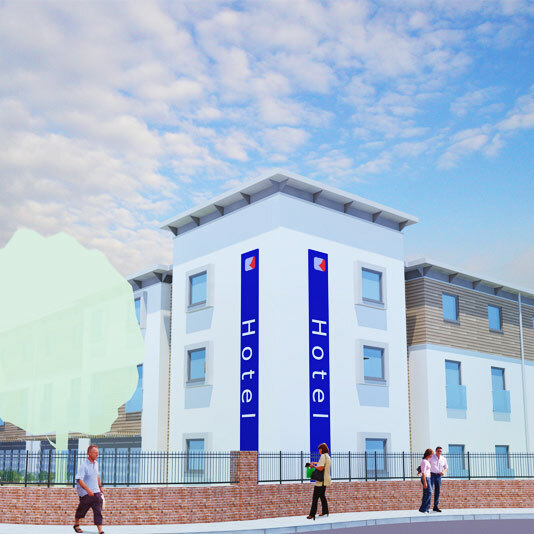 A 63-bed hotel was designed for Travelodge, with additional space at ground floor for restaurant use. The new phase, also including a foodstore and extensive new parking provision, was submitted for planning permission in 2010.